The Henley Royal Regatta is held annually in Henley-on-Thames, Oxfordshire. A renowned international rowing event and a must in the social calendar, Henley Regatta is a defining symbol of English life: the relaxation and enjoyment amidst the picturesque setting is as much a part of Henley Royal Regatta as the rowing. The Henley Royal Regatta holds events for both men and women at a number of different levels. It was in 1839 that the first Henley Royal Regatta in Oxfordshire took place, staged by the Mayor and people of Henley as a public attraction: with a fair and other amusements. The tradition has continued annually ever since (except during the two World Wars) and rapidly changed so that competitive amateur rowing became its main purpose. Traditionally the race took place on a single afternoon but proved so popular with oarsmen that the racing lasted for two days from 1840 and in 1851 the HRH Prince Albert became the event’s first royal patron. The Regatta was later extended to three days in 1886 and a further day was added in 1906, lengthening the regatta to a four-day event. Due to its popularity the Henley Royal Regatta was extended to five days in 1986 with an increase in the maximum entry for certain events. It is only through an understanding of each company’s personal requirements and a unique and thorough knowledge of the events industry for nearly two decades, Team Tactics is ideally placed to look after your guests at such a wonderful event as The Henley Regatta. This 5 day event, where glimpses of current and future Olympic stars can be seen over the glass of a bubbly from your luxurious hospitality facility, takes place along the most beautiful and picturesque part of The River Thames. As a leading provider of corporate hospitality at The Henley Royal Regatta, Team Tactics are able to offer a personalised event management service. This can include creating a bespoke package for larger groups. 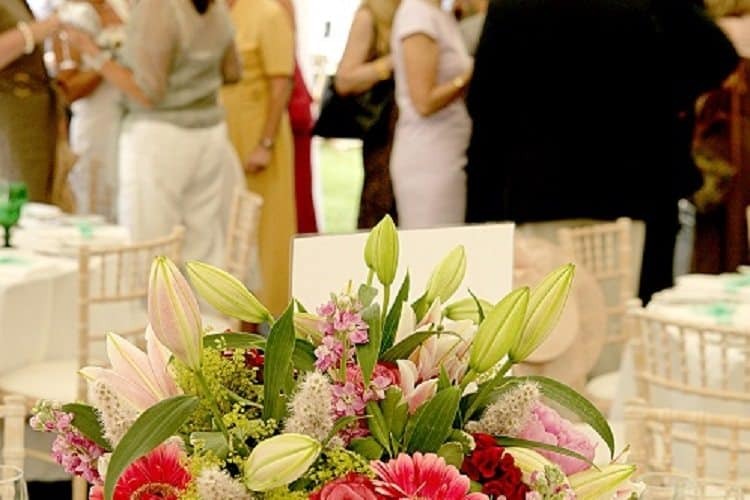 For instance we have previously created a Georgian Riverside Family Party during the weekend at Henley Regatta for clients and staff, sourcing entertainment options for children, personalised menus, hotel accommodation around Henley plus any necessary transfers required to give the day the full impact it deserves. We guarantee not only a great event in terms of value for money, but also superior facilities and a genuine care for presentation and quality of food served to your guests. We promise you that you won’t find a better facility in terms of its location, the food (just look at our gallery photos as proof!) and its general ambience. Return to our Sporting Hospitality page to browse more hospitality options at world renowned events.